Through a three-day professional development boot camp, school leaders—including principals, assistant principals, coaches, and teacher leaders—learn how to launch an instructional leadership team in order to successfully devise, launch, and execute on school improvement goals. Despite best efforts, most school improvement initiatives in high needs schools fail or show little improvement. With some estimates showing failure as high as 70% for strategic initiatives in for-profit companies, the challenge is even greater with school improvement efforts. The main reason for failure in strategic initiatives is the lack of execution. Unfortunately, good intentions are not enough when it comes to driving and sustaining growth. 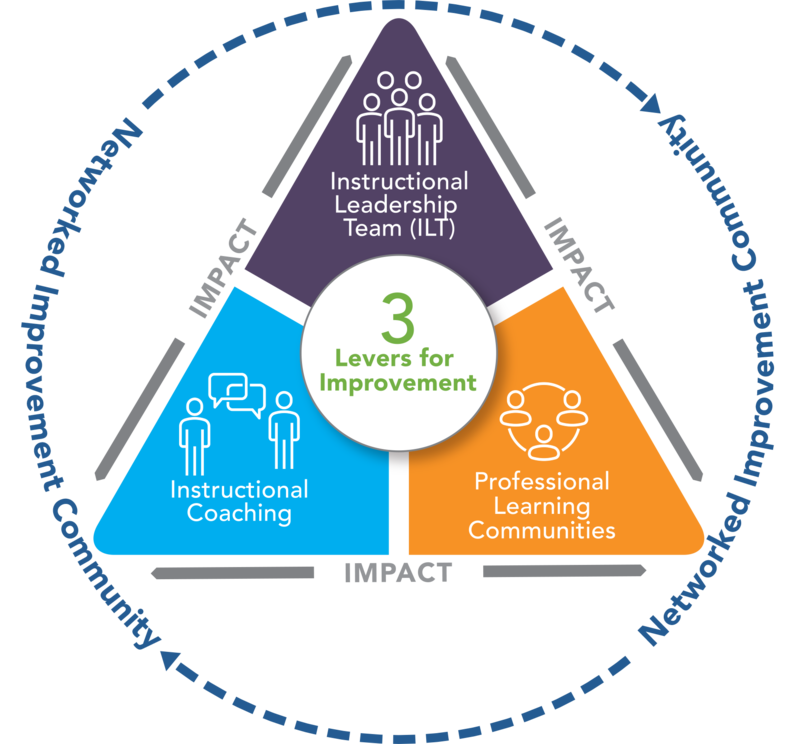 However, in school improvement efforts specifically, Instructional Leadership Teams (ILTs) can be one of the greatest levers to improving student achievement. Each session is designed to establish mindsets for leading instructional improvement efforts, promote deep cohesion among members, and learn the process for managing instructional improvement efforts in authentic situations. With the training gained in the first session, the ILTs will be ready to immediately begin to meet on their own. Sessions 2 and 3: The sessions will be used as coaching and reflection sessions with ILTs to ensure its goals continue to align with the district's priorities and state learning standards as well as dig deeper on any issues that may be impeding the improvement process. The end goal is to make sure the team has increased its capacity to deliver (i.e., its Implementation Quotient) and execute its instructional improvement plans. If you are interested in bringing the ILT training to your school or district, send us a message in the form on the right (or below on mobile devices).